Earlier today the Nintendo Download Update details for North America promised discounts of SEGA 3D Classics, but only specified two of the games that are in the promotion - now the official eShop offers website has confirmed eight of the series that are available at half price. It's not the full range, and more recent releases are notably excluded, but all of the following will be available for just $2.99 (US price) in North America until 2nd July, down from a normal price of $5.99. Are any of you in North America tempted to grab these at half price? I already have all the ones I wanted, so I'm not getting anything. Getting Space Harrier for sure because it really fits with the 3D effect (Master System style). 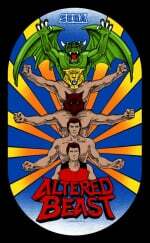 May get Altered Beast too. So does Europe get any of these discounts? if I had funds i'd 10/10 buy ALL. Great deals for those who don't have them! Sega does a great job with their 3D Classics line. Gonna grab some of these. Beautiful games. Getting all of these, I wish nintendo would discount some of their VC releases to 50% off. Awesome!! I'm ashamed to admit that I was holding to purchase all of this SEGA 3D Classics (I only had Outrun and Sonic) until they got some kind of discount. Now there's zero excuses anymore. I'm buying them all now even Altered Beast haha! Thank for the heads up, NL! this is great news! i already have 4 of these M2 games and now i will definitely be picking up a few more. Bought all of them. Six wasn't quite right but three is good. I think i'll get sonic for that price. Already got Sonic and Outrun. I'll get Streets of Rage for that price. 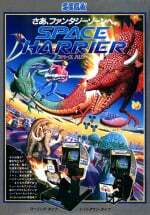 The sad part is that Space Harrier 3-D on the Master System is THE best in my opinion but never got re-released. It would be perfect on the 3DS. The 3-D effects were great at the time with the Sega 3-D Glasses. I still have them with Space Harrier 3-D which is better in every way in my opinion. *Space Harrier 3-D was a totally new adventure. The stages were new and much more beautiful and action packed. 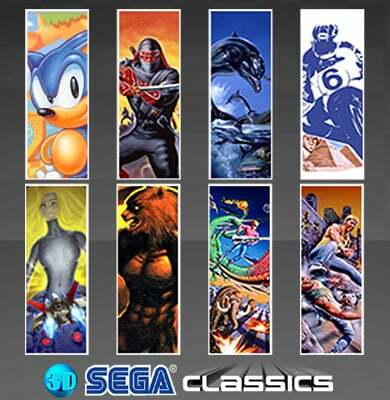 Sega deserves all the money it get for these lovingly crafted rereleases of classics. I just wish Nintendo would put this much love into all those rereleases of its old classics. I mean, Christ, it can't even get the frikin colours right on NES games on the VC! I had five of those games already, and bought Streets because it was listed here. Now that I know that Altered Beast and Ecco (the ones I have yet to get) are also discounted, I'll get those when I can. Can't wait for Sonic 2! The only one i'm missing is Ecco, since I wasn't a fan of the series. But I think it's still worth picking up at that sale price. Don't care about Altered Beast or Ecco and I have the rest. So... Where's my Power Drift? I think might pick up some or all of these, 3D Altered Beast, 3D Galaxy Force II, 3D Shinobi III: Return of the Ninja Master, 3D Space Harrier and 3D Super Hang-On since I already have the others that are on sale. @ThomasBW84: It would be nice if NL would introduce system tags in their headlines, like [Wii U] and [3DS] at the beginning of headline. This way we as users wouldn't constantly (I've seen a few others complain about it) open up articles that don't apply to us at all. But I'm unsure whether you guys didn't already know that and just need those additional clicks... still it would be a nice thing for the users. There are tags. Under the picture on the previous page. Before you made the nefarious "click". Whoops. @shani The headline title says "SEGA 3D Classics" wouldn't that means the games are for the 3DS? @Gen0neD: lol, I never saw those tags, thanks! But I meant really as a tag in brackets inside the headline. But still, those tags under the article help, too. @HeroOfCybertron: No, why would it? 3D doesn't automatically mean stereoscopic 3D. I honestly thought they meant Sega games that play in a three-dimensional world. I don't think anyone would link the term "SEGA 3D Classics" with stereoscopic 3D, because the term "3D" existed long before stereoscopic displays and everyone still uses it with the old meaning. Therefore, to prevent such misunderstandings, they should call it "Sega stereoscopic 3D classics" or just "Sega Classics for 3DS". There really needs to be a Sega Virtual Console on Wii U! Too bad Afterburner didn't make the list. 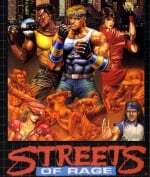 I hope this signals Streets of Rage 2 coming out soon! @shani Both Nintendo and Sega have games titled "3D Classics" on the 3DS eshop as far as I know the Wii U eshop does not. 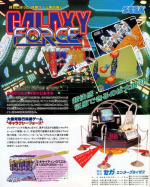 Thinking of Galaxy Force II, maybe Space Harrier and/or Super Hang-On. All of which, if I'm getting this right, are from-behind/second-person(?) views. Played some of the others on PS3 or such, but if Monster World IV gets the 3D treatment, oh I just might would have to. Oh, and the Phantasy Stars! More please. These ports are full of tweaks and features. Damn it feels good to be a gangster. @HeroOfCybertron Ah ok, I didn't know that, thanks for the clarification. Guess when I'll get a 3DS someday, I'll have to get accustomed to several things that are different in comparison to the Wii U.
Neat, now I can grab Streets of Rage. Just completed my collection. Nice. @argh4430 Same here, already have all of them and the all the second wave games too, but left Ecco behind. Now I think I'll get just to complete the collection and give Sega more incentives to bring more of them! @Azikira After Burner is from the second wave of games. These eight games are from the first wave. Nope. Sonic The Hedgehog is just $1.99 on PSN, and I already bought it there as I had the money in my wallet already. Another dollar for 3D? Big fat meh. @khaosklub I was told that Ecco is the regular Genesis version, with no CD updates. I'm definitely buying them all! I have some in Wii VC but have them in portable and 3D is great. I already bought 6 of them (1 I already had it). Maybe I will download the 8th game soon to have them all. This promotion is 2x1. Have the whole series apart from Ecoo and Altered Beast. Love them all. Out of this lot I personally would go for Space Harrier and Super Hang-On. @Angelic_Lapras_King I believe I will buy them all. The Sega 3d classics are the best 3d classics. Put 3D Road Rash II instead of 3D Super Hang-On, and you already had my money a week ago. It won't happen because it's EA and not Sega, but it's still the best racing series on the Genesis/Mega Drive IMO. I might spring for Streets of Rage, but that would be it. SEGGGaaaaaaaa...........yyyyaaaawrrrrrwwwwnnnnnn. ... ..zzzz zz zzz zz zzzzzz. That is SEGA's entire career until everybody brought an PSX for FF7, and then Rival Schools, and of course Metal Gear. Seriously is that is there plan, Lets release an bunch of same games and not make new ones?? ?